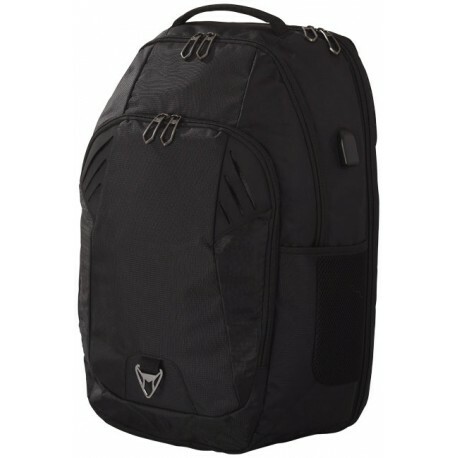 Foyager TSA 15" Computer Backpack. 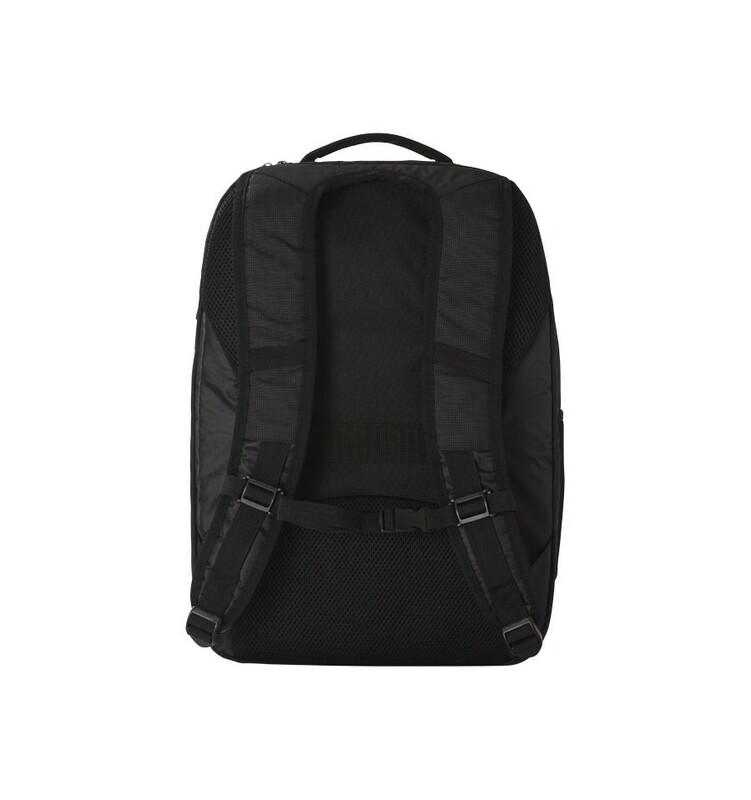 The 15" TSA computer backpack will increase your speed through security with a padded computer compartment which unfolds to lie flat on the X-ray belt. 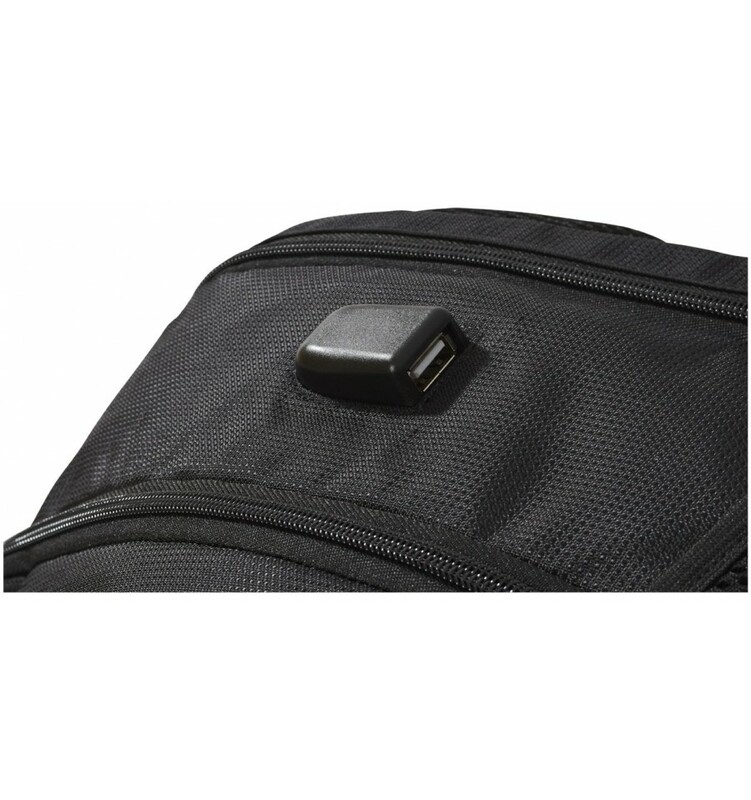 The large zipped main compartment provides ample room for all of your tech accessories and tablet along with a built in USB port and cable to enable you to charge your devices on the go. 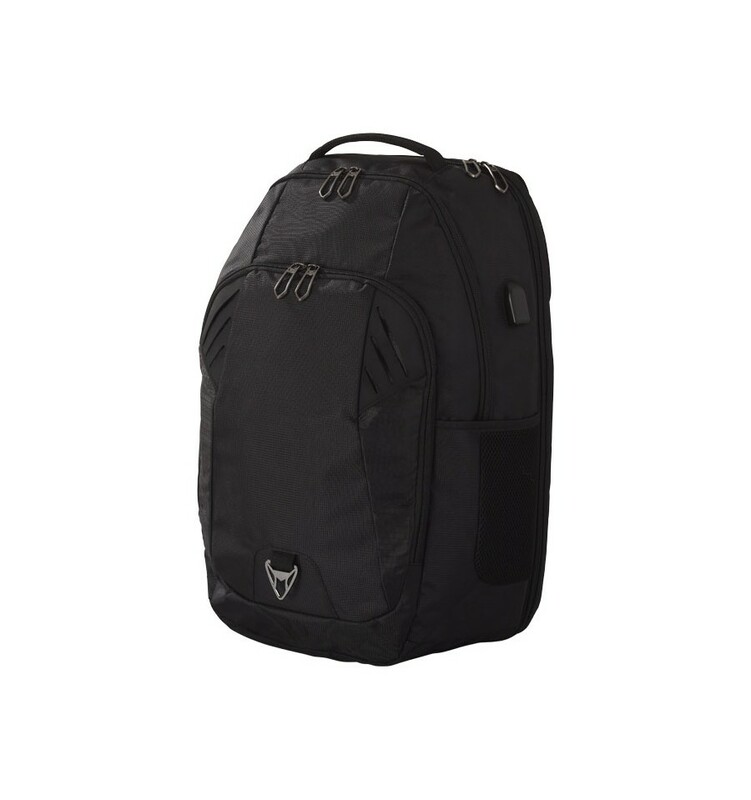 The front of the bag features a deluxe organisational panel and two side mesh water bottle pockets for additional storage. Also includes custom zipper pulls, padded back panel for comfort, chest strap and trolley sleeve. Dobby Nylon with PVC backing.